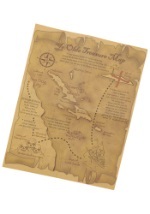 You'll be ready to defend Port Royal from a group of scurrilous pirates! 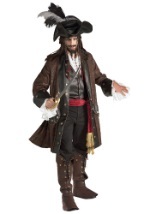 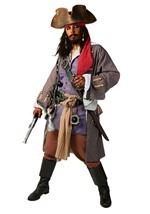 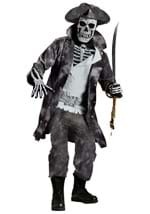 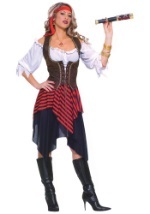 This deluxe pirate costume includes a white cotton shirt with long sleeves and elastic at the wrists. 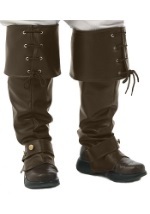 The brown linen pants lace closed in the back and have four silver decorative buttons in the front. 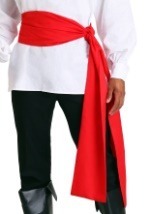 The red vest buttons up the front and has a matching lining. The brown jacket has long sleeves, beige lining, and decorative buttons along with intricate yellow trim along the front. 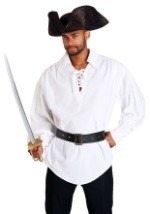 Two pockets with flaps are located on either side. 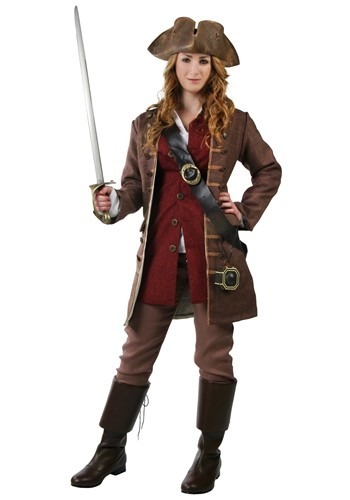 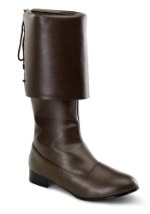 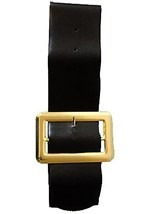 Also included is a faux leather sword holder that straps across your shoulders. 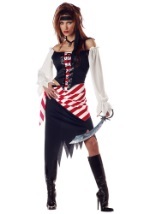 Add our pirate sword and hat for a complete look.